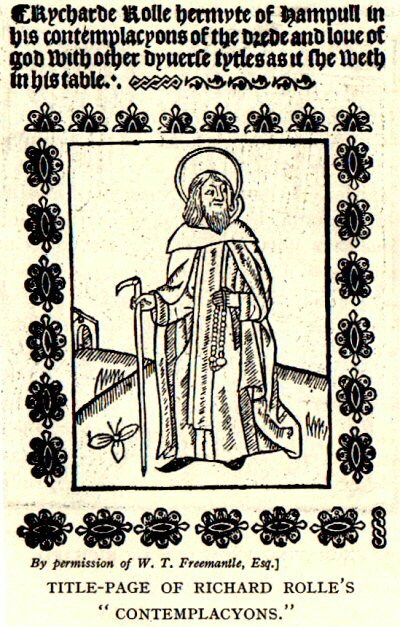 Hampole's most famous inhabitant, this scholar turned hermit and renowned fruitcase created some of the most influential texts of his time incluing The Fire of Love. Often called the Hermit of Hampole, although it didn't stop him probably dying of the black plague. His tomb is at St Laurence's Church, Adwick Le Street, 2 miles away. After his death his tomb was celebrated for miracles, and preparations for his canonization, including the composition of a mass and office in his honour, were made; but the cause was never prosecuted.